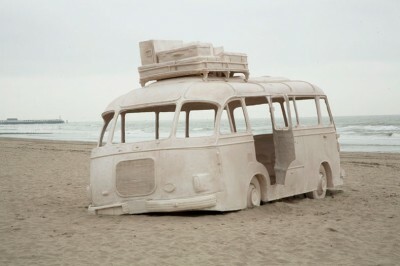 The installations of this artist duo evoke a continual feeling of disorientation in the visitor. 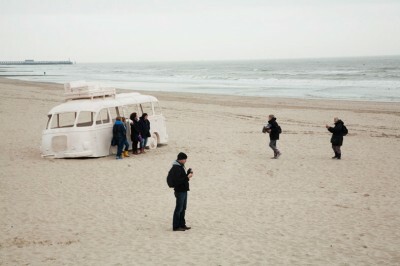 Feipel & Bechameil play with optica and perspective using rotations and reflections. 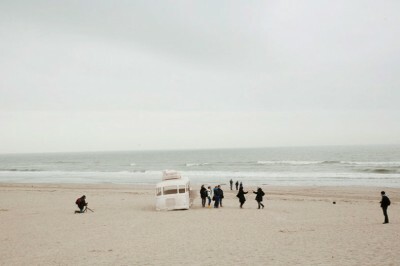 Yet their hyper-realistic sense of detail also causes confusion: what is montage, what is reality? 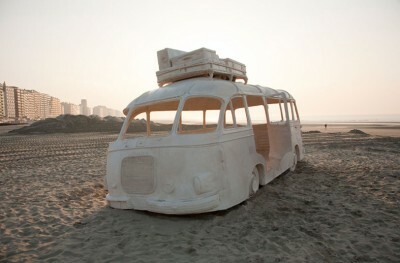 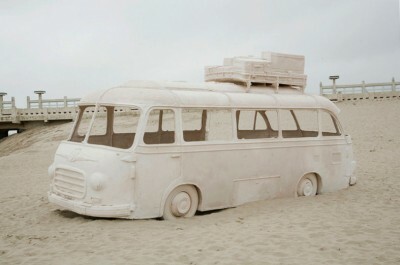 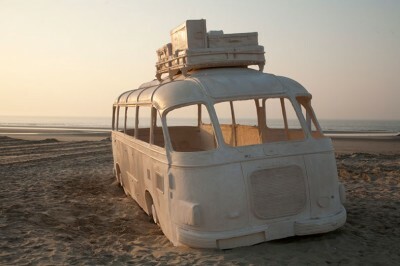 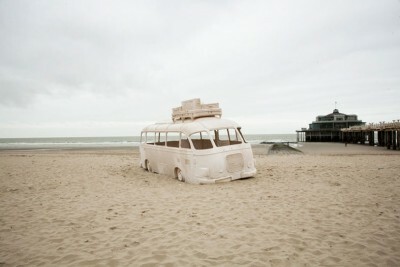 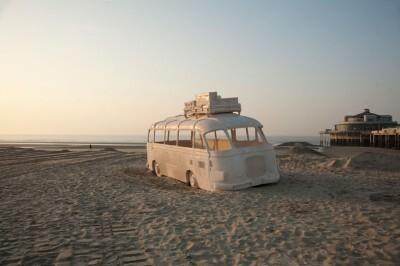 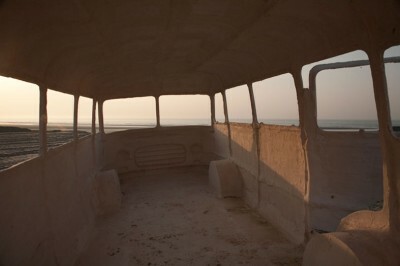 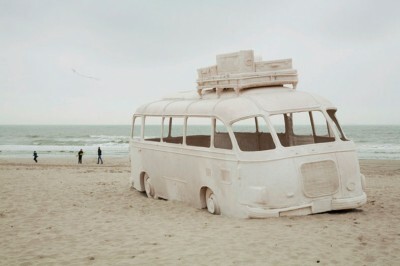 For Beaufort04 on the pier in Blankenberge Feipel & Bechameil have created an installation with a bus, which has been stranded there and appears to have been petrified for centuries. 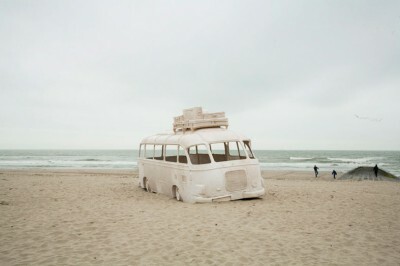 As a fossil vehicle with open doors the bus invites the visitor to walk inside and so be included in the scene himself.